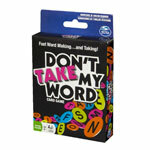 Don't Take My Word is the frantically fun game of fast word making?and taking! A quick mind, quick eyes, and quicker hands are the key to winning! 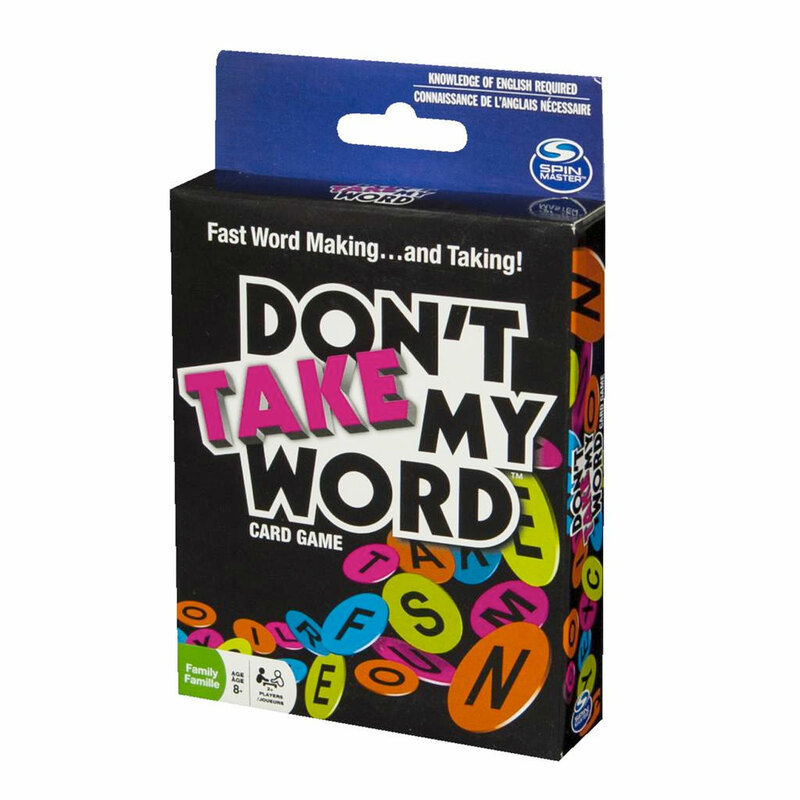 Don’t Take My Word is the frantically fun game of fast word making… and taking! Score the most points by making words with the Letter Cards as they are dealt. 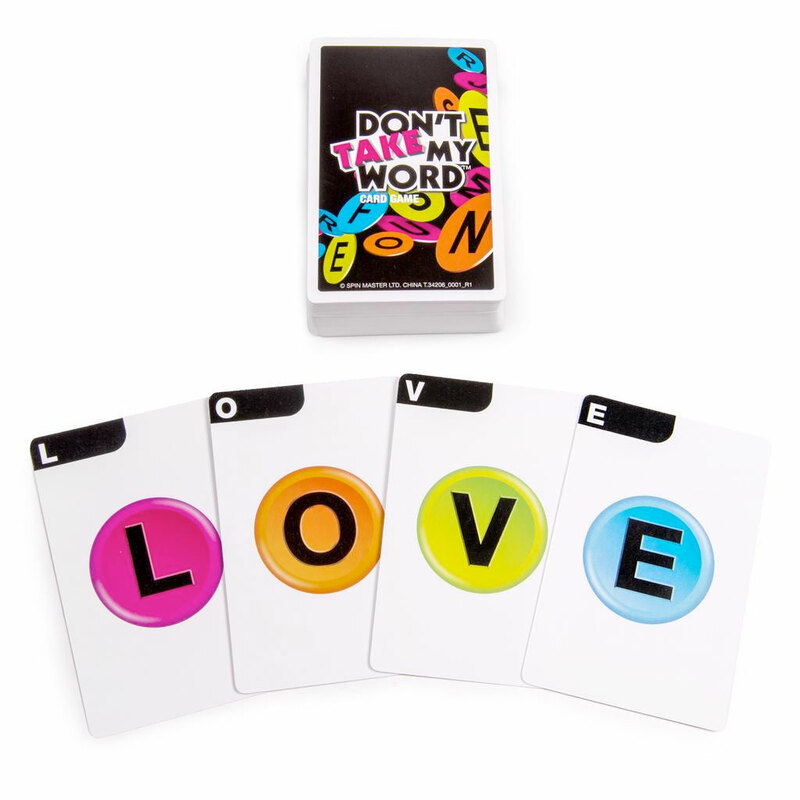 Keep your eyes peeled because you can take words from other players by adding letter cards to make new words. Or combine two finished words to create a new longer word, even from different players or your own finished words. You need a quick mind, quick eyes, and quicker hands to win. But Don’t Take My Word for it, play it and see for yourself! place the word in front of you. If nobody spells a word using the first three cards, deal a fourth or more until a word is found. You can use only as many of the letters as you need. Take other players’ words at any time: add letters to make new words, or combine words even from different players or your own finished words!